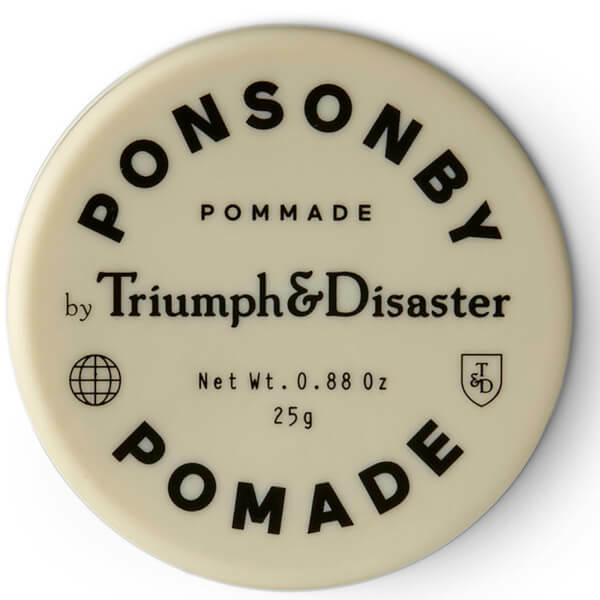 Style and protect your hair simultaneously with Triumph & Disaster Ponsonby Pomade, a medium hold hair styling pomade with high shine finish. 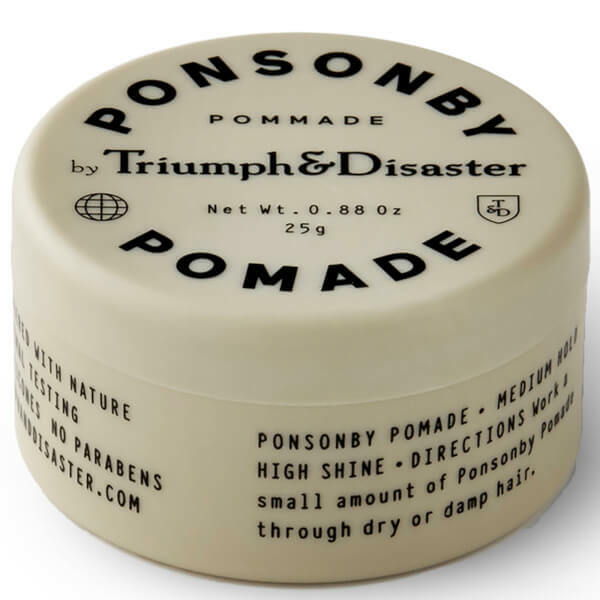 With a nutrient-rich, water-based formula that treats the hair and scalp on application, the pomade expertly holds hair in place whilst calming and soothing with a blend of 'Dragon's Blood' (a healing, natural tree resin), Argan Oil and Harakeke (assists hold). 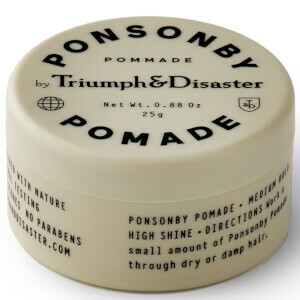 The non-greasy, weather-resistant formula leaves no unsightly build-up on hair for a perfectly preened style. Infused with a bespoke fragrance. Easy to wash out. Aplicar una pequeña cantidad sobre el cabello húmedo o seco. Aqua (Water), Ceteareth 25, Polyglyceryl 5 Oleate, Glycerine, Polysorbate 20 (Caster Derived), Caprylyl/Capryl Wheat Bran/Straw Glycosides, Fusel Wheat Bran/Straw Glycosides, Sodium Cocoyl Glutamate, Glyceryl Caprylate, PVP/VA Copolymer, Hydrogenated Vegetable Oil, Isoamyl Laurate, Argania Spinosa (Argan) Oil, Polyester 5, Pongamia Pinnata Seed Oil, Dehydroacetic Acid, Benzyl Alcohol, Harakeke Flax Oil, Croton Lechleri Resin (Dragons Blood) Extract, Parfum (Natural Fragrance), CI 172000 (Red), †d-Limonene, †Linalool, †Citronellol, †Cinnamyl Alcohol, †Eugenol. (†Component of Natural Fragrance).